The Cromwell tank, officially Tank, Cruiser, Mk VIII, Cromwell (A27M), was one of the series of cruiser tanks fielded by Britain in the Second World War. 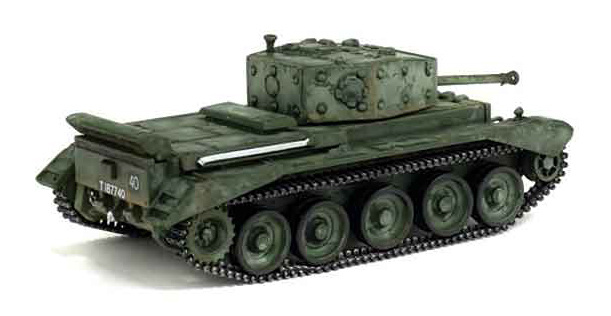 Named after the English Civil War leader Oliver Cromwell, the Cromwell was the first tank put into service by the British to combine high speed from a powerful and reliable engine (the Rolls-Royce Meteor), and reasonable armour. However the originally proposed dual-purpose high velocity gun could not be fitted in the turret and the medium velocity dual purpose gun fitted proved inadequate. 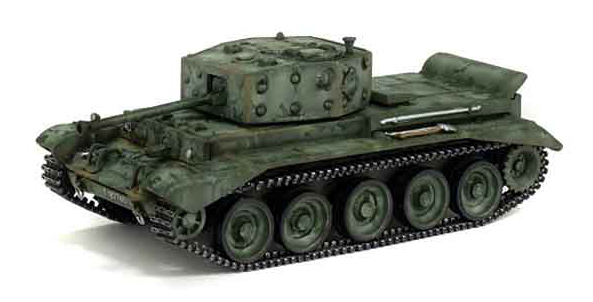 An improved version with a high velocity gun became the Comet tank.